1 x Royal Australian Mint 5 coin bag. Face value $10. 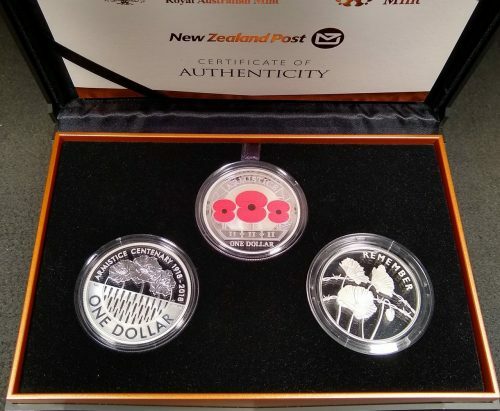 “100 Years of Repatriation-bringing them home” commemorative $2 uncirculated coins x 5, these coins feature a red and black painted design. 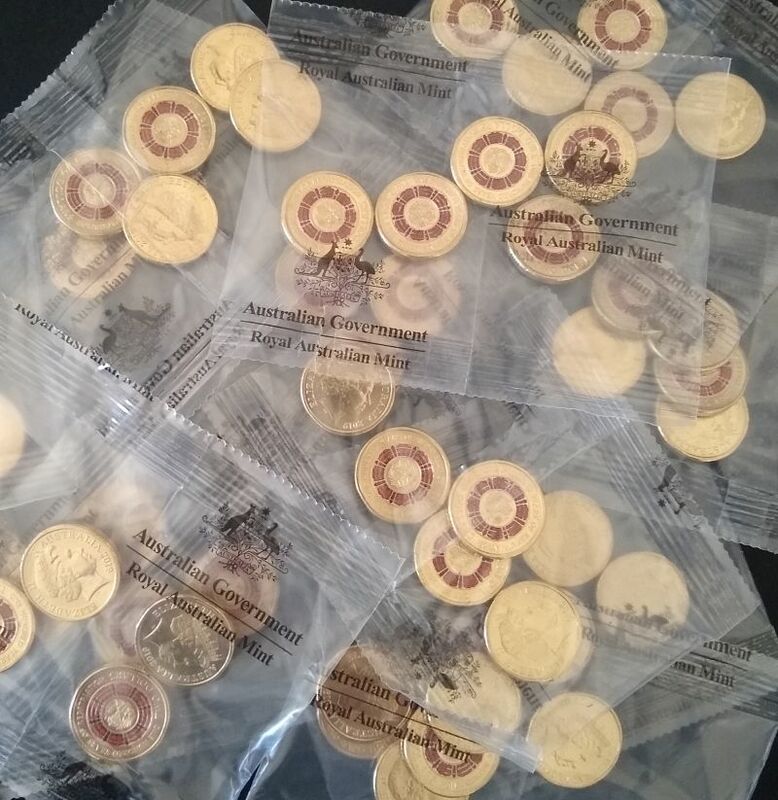 Note: The image in this listing is a stock image of our coin bags, we have multiple bags available. This listing is for one bag only.